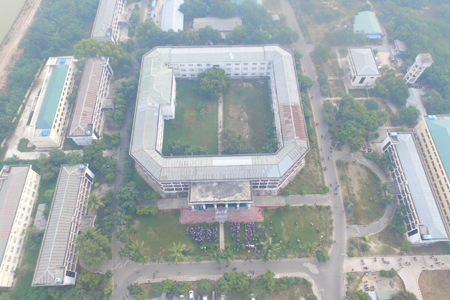 Mandalar Degree College is situated on Yangon-Mandalay Highway, in Amarapura Township in Mandaly. It is 47 acres wide. When it was opened on 1.12.2012, it was called Mandalar College. It was upgraded as a degree college on 22.3.2016. 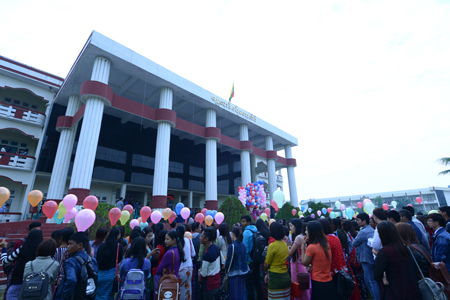 It is an affiliated degree college to Yadanabon University and Meikhtilar University of Economics. Students can study ten specializations of arts and science and Tourism Management and Hospitality at Mandalar Degree College. Students who came from distant regions can apply for the permission to live at the male and female hostels. Arrangements are made for the students to be able to use the E-library. Extra-curricular activities and sport competitions are held annually at Mandalar Degree College. Moreover, students as well as teachers are sent to attend seminars, conferences, symposiums held abroad to improve the quality of the students and the teachers. Moreover, the 8th International Tourism Conference on “South East Asia Countries & India’s Act East Policy was successfully held at Mandalar Degree College from 3.7.2015 to 4.7.2015. According to the motto: Let’s try to become intellectuals, let’s practice to become men of moral, Mandalar Degree College are teaching, training and nurturing students to become good human resources. Sport competitions are held under the guidance of the principal, teaching staff and supporting staff with the aim of producing clever sport men for the country. Mandalar Degree college will be a university of first choice for students who wish to excel in life through the classroom experiences.